It can be challenging these days to find a good roofing contractor. Should you hire a general contractor or a roofer? Is there really a difference between the two? How can you know if the Frisco roofing contractors that you hire will be the best ones for the job? Use the following tips to help you find an experienced and reputable roofing contractor. Hire a local roofing company. It is a good idea to hire a local roofing contractor who has worked in the community for many years. 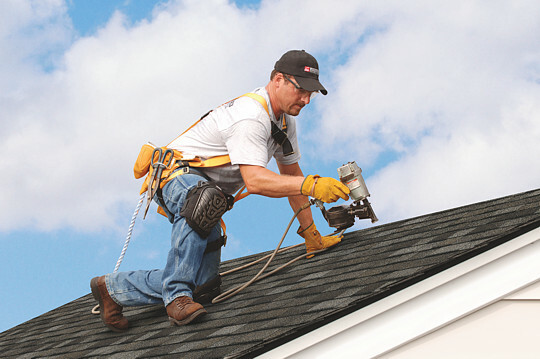 You don't want a fly-by-night roofer who is here today but then gone tomorrow. Following a storm, there are some companies that will come from out of state and attempt to get business from you. Ask your family and friends if they know of any good local roofing contractors that they are happy with. Contact your insurance company. Quite often they can be an excellent resource and can provide you with a list of contractors they have worked with in the past. The best situation is having your insurance adjuster and contractor meet on your property in order to both assess the damage at the same time. Make sure you understand what your deductible is, what your insurance company has agreed to pay you and everything that you can expect as you move forward with the process. Get multiple bids. Many homeowners become too focused on what the price is for roofing work. Keep in mind that the cheapest price won't get you the best roof usually. However, it is important to get a competitive price. That is why getting multiple bids is so important. Meet with roofing contractor in person so that you can ask question, gain a good understanding of what their plan is, and get quotes in writing so that you can compare them. Check on associations, insurance and warranties. Roofing contractors should always warranty the work they do. They also need to be insured (liability insurance and workers' compensation) and bonded. See if they belong to any reputable associations or partner with other reputable companies. Good communication is key. For any business, communication is critical, no matter what industry it is a part of. If you are unable to get in touch with your contractor, or don't stay on the same page throughout the entire process, that can be a very big problem. Pay attention to whether they call you back right away or not. Is everything put into writing? Do they follow through with the promises they make? These are all things you should look for.